China Electric is established since 1960s. It located in Shanghai - the most important international financial and business center of China. It has employees more than 1000. Its factory is about 30,000~50,000 square meters. 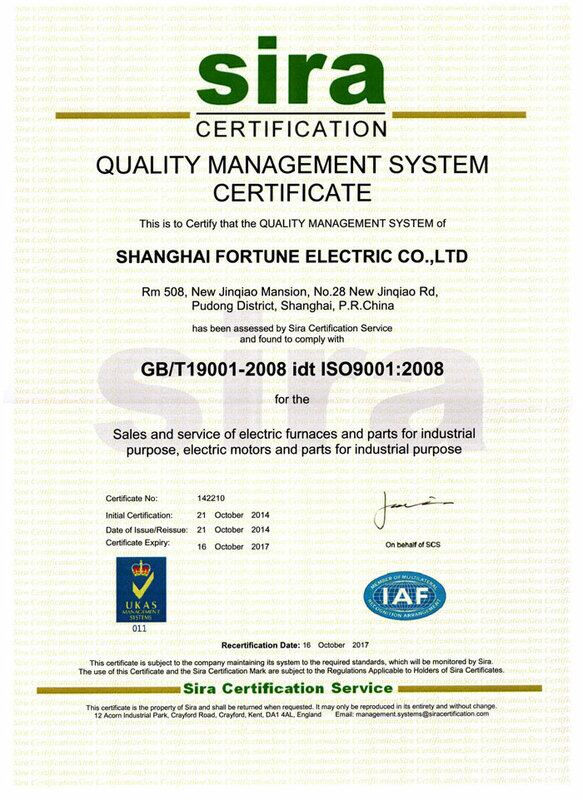 It passed ISO 9001:2000 Management Certification. 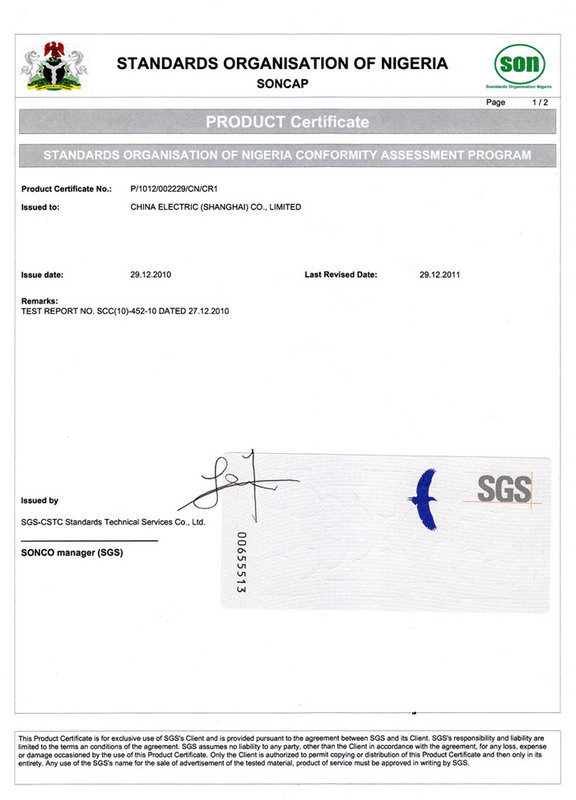 All its products passed CE Certificate for European Union, UL and CSA Certificate for North America, GOST Certificate for Russia and SONCAP Certificate for Nigeria. 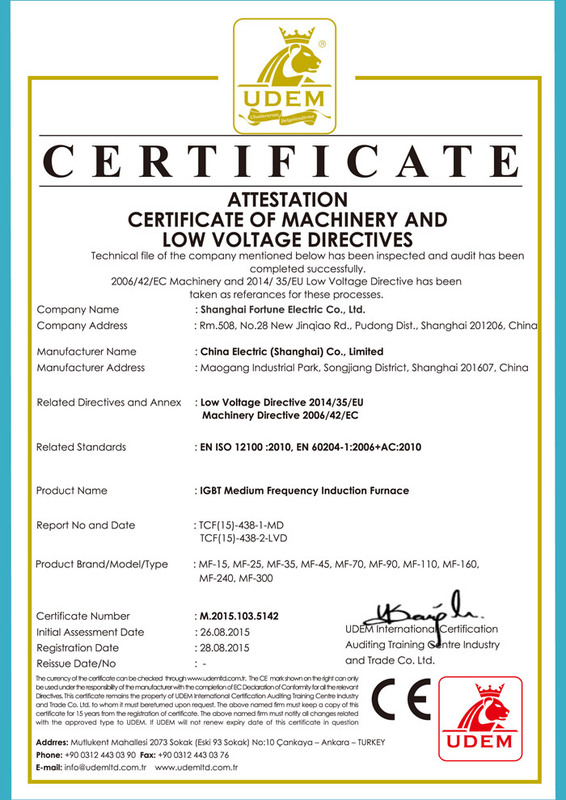 CHINA ELECTRIC is qualified to Issue Form E Certificate of Origin for ASEAN customers. It also permitted to issue CIQ Certificate of Pre-shipment Inspection for exporting to Africa, such as Egypt. 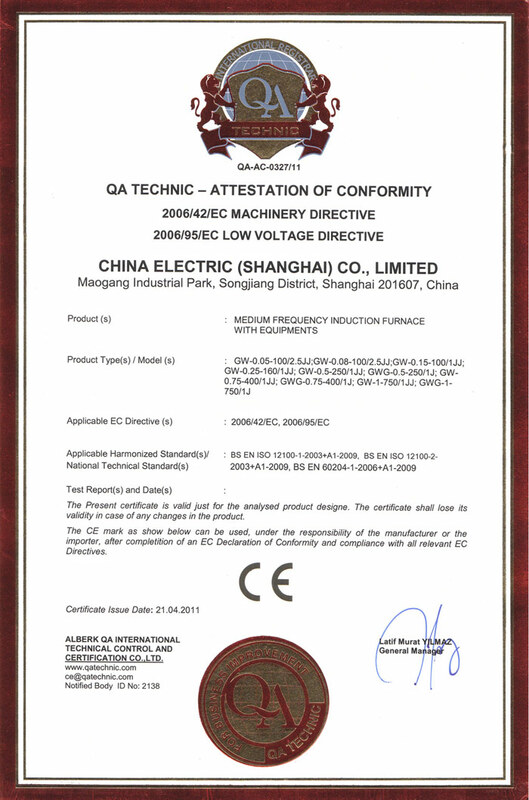 CHINA ELECTRIC is one of the biggest manufacturer and exporter for medium frequency induction melting furnace, high voltage motor and machine DC motor. Customer satisfaction is the mission of CHINA ELECTRIC. Professional, timely and careful is the basic essence and work attitude of CHINA ELECTRIC's every member. Thanks to the competitiveness both in quality, service and price, CHINA ELECTRIC's products are distributed to most of the countries and regions around the world, such as Bulgaria, Croatia, Romania, Slovenia, Turkey, Azerbaijan, Ukraine, Kazakhstan, Uzbekistan, Russia, Iran, Dubai, Yemen, Saudi Arabia, Egypt, Nigeria, South Africa, Sri Lanka, Chile, Peru, Bolivia, Argentina, Australia, Singapore, Malaysia, Vietnam, Thailand, Indonesia, Philippines and etc. CHINA ELECTRIC warmly welcomes both former and new customers to further develop business relationship and partnership for prosperous futures.